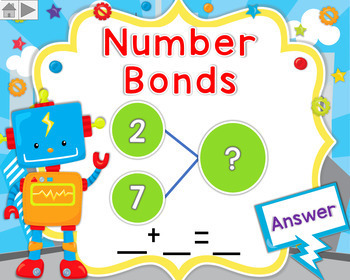 Part Part Whole PowerPoint and Smartboard lesson is an interactive lesson that focuses on how to decompose numbers, create number bonds, bar models, and add fact families together. This product has a wide variety of differentiated activities that vary from easy with pictures to challenging with numbers. 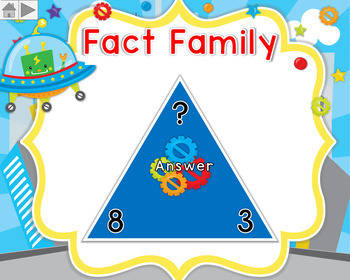 Students are able to to receive instant feedback and check their answers on all questions. It is a great way to teach your students how to find the missing number in an addition problem. Please download the PREVIEW FILE to get a good look at what is inside this pack. This pack is made for students in 1st-2nd grade. It is excellent for test prep or review on missing addition problems.